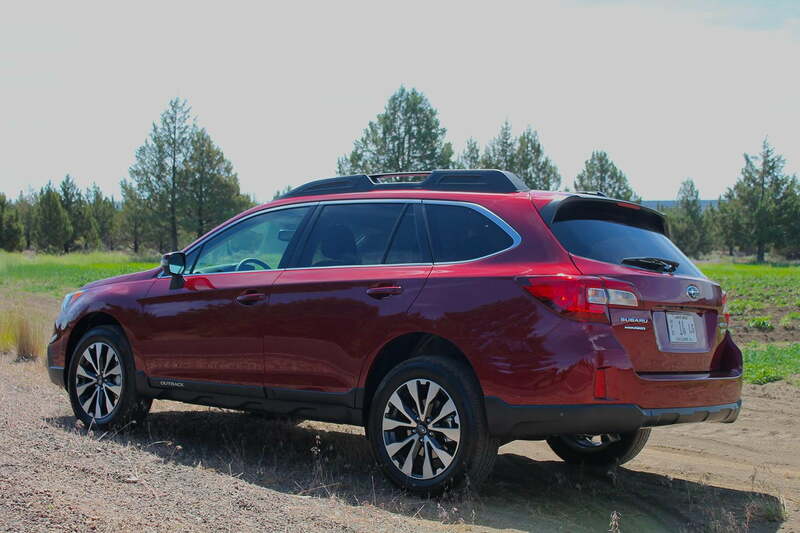 The 2015 Subaru Outback is equally at home in the forest or on the freeway. Packed full of driver aid tech, the new Outback lets you sit back and enjoy the ride. Good cars can perform well in a variety of driving conditions, but great cars can perform well anywhere. 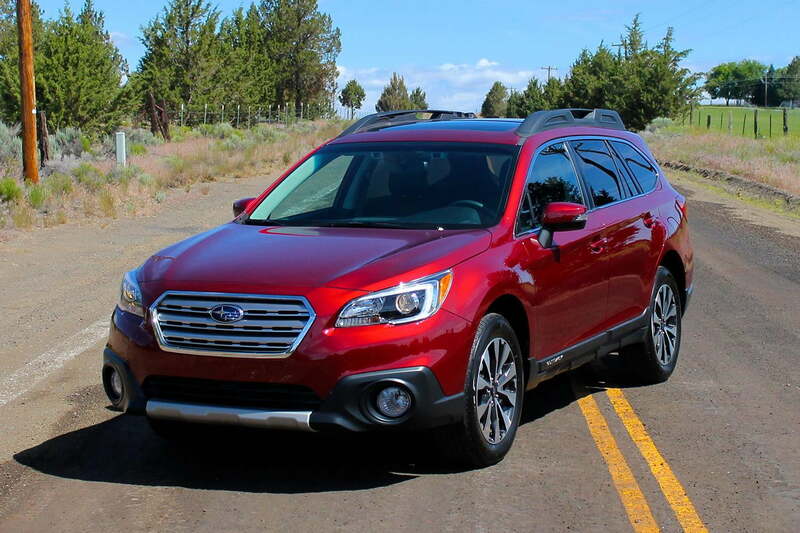 By that definition, the 2015 Subaru Outback is definitely a good car, but it just might just be a great one, too. I was lucky enough to test the new Outback (possibly the most “Oregon” car ever) in beautiful Bend, Oregon over roads and trails literally called “The Oregon Outback”. Bend almost literally has a Subaru parked on every corner. They’re just as common there as the Prius is in San Francisco. And, like the Prius, it’s all too easy to pigeonhole the owners into a particular lifestyle. While Prius owners are known for being environmentally conscious and entering the freeway at 35 mph, Subaru owners are active, educated, and adventurous. It makes sense that a car whose slogan reads, “The Joy of Discovery,” fits in there. The next-generation Outback has more new components than carryovers for 2015, but you wouldn’t know it by looking at the car’s exterior. The seventh-generation model is slightly bigger and more athletic than 2014’s version, but outside of larger headlights and a redesigned grill, they’re almost dead ringers. The next-generation Outback has more new components than carryovers for 2015. You can’t feel the 3,593-lb heft behind the wheel though; the Outback handles like a much smaller car. It has stiffer, redesigned MacPherson front struts up front and a double wishbone layout in the rear. Active torque vectoring, an import from the WRX STI, greatly improves turn in and cornering speed. The ride is slightly stiffer on the road that I expected, but given the enhanced precision and off-road capabilities of this car, it’s more than worth it. More on that later. Inside, there’s two inches more elbow and shoulder room than before, the cabin is quiet and comfy, and the 12-speaker, subwoofer-thumping Harman Kardon stereo system is absolutely fantastic on Limited models. The only complaint I have about the on-road performance was the whiny CVT on the 2.5-liter, 175-horsepower base model. 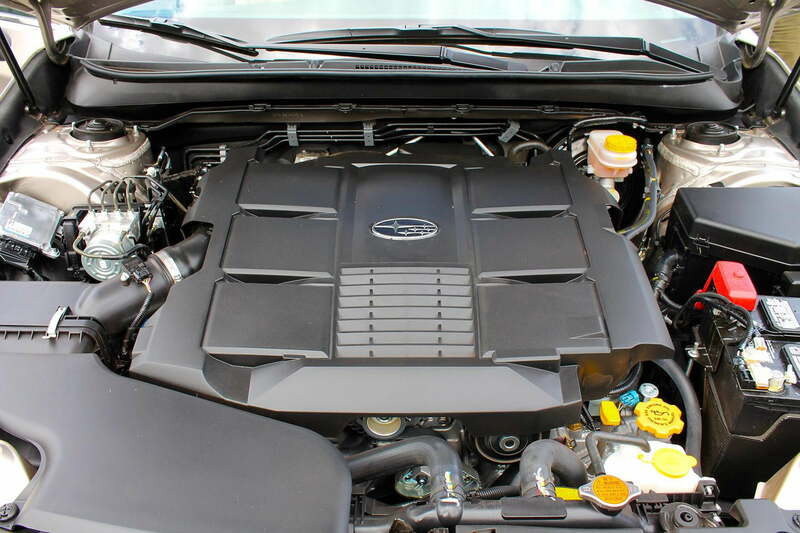 In models with the 3.6-liter, 256-hp BOXER six-cylinder, the CVT was much more muted, however. While the Outback is quiet, responsive, and comfortable on the streets, venture off the asphalt and Subaru comes alive like a Labrador in water. Subaru’s CUV has an impressive 8.7 inches of ground clearance, which is higher than the Mazda CX-5, Jeep Compass, and Porsche Cayenne. It eats up bumps, divots, and potholes like nothing, partly due to a 56-percent increase in torsional stiffness and Subaru’s signature Symmetrical All-Wheel-Drive. Press the X-Mode button on the center console and engine output, CVT ratio, and AWD traction are managed individually at each hub, reducing wheel spin and increasing driver control in slippery conditions. A nifty Hill Decent Control feature comes along for the ride in X-Mode, which gives the car’s autonomous control over acceleration, braking, and traction management. All a driver has to do is steer and the car does the rest, shifting power and braking to and fro to get down the hill safely. 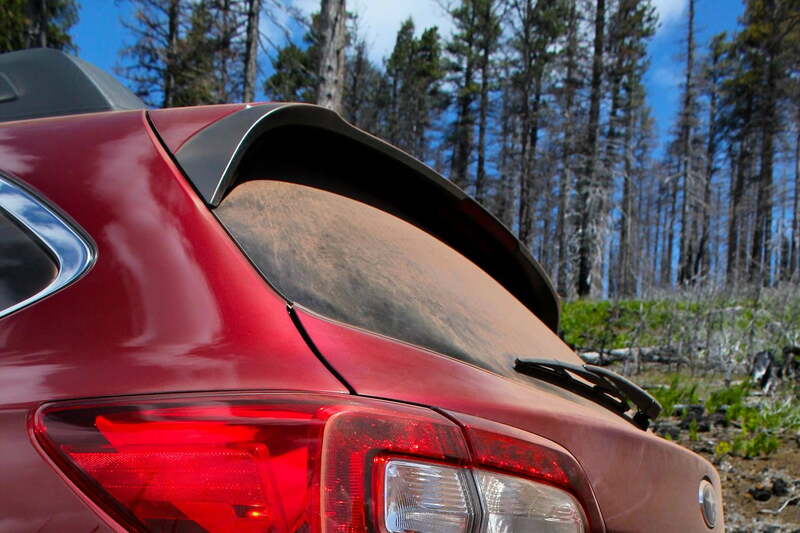 We tested this at an incredibly slippery cinder pit in the Oregon Outback, and the car didn’t even break a sweat. X-Mode comes standard on all Outback models. No matter if you’re or gallivanting through the rugged wilderness or running to the local market, you get the feeling like this new Subaru has your back. Worried about drifting out of lane? Subaru’s Lane Departure system alerts you when you start to amble across the centerline. Hate pulling out of a parking spot blindly? The new Outback’s Cross Traffic Alert has sensors on the front and rear to prevent that Dodge Grand Caravan from smashing your new bike rack. Too busy reading the label on your kombucha to notice the light has turned green? Subaru’s got that covered too with its Lead Vehicle Alert system. The 2015 Outback just does a lot of the work for the driver, but without removing the feeling of control. Put simply, the 2015 Outback just does a lot of the work for the driver, but without removing the feeling of control. The Outback will completely step in if necessary, though. Subaru’s EyeSight Collision-Avoidance technology now works on a 30-mph speed differential, up from 19 in the previous generation. The two EyeSight cameras mounted near the rear-view mirror detect obstacles that have crossed the vehicle’s safe stopping distance, and alert the driver as needed. If necessary, EyeSight will use full braking power to bring the vehicle to a complete stop to avoid a collision. Other cool features include a PIN code liftgate that allows you to go swimming without losing your keys, adaptive cruise control, active grill shutters to regulate engine temps, and retractable roof crossbars with built-in tie downs. Most impressive though, is the Outback’s reliability: 97 percent of all Outbacks sold in last 10 years are still on the road. Over 180 miles of hard driving, the 2015 Subaru Outback showed itself to be an adaptable, practical, safe, and categorically enjoyable ride. It won’t hurt your wallet either, as the base 2.5i Outback starts at $24,895. The 3.6-liter version starts at $32,995. You’ll save money on gas, too, as the four-cylinder is rated at 25 mpg city and 33 mpg highway. The six-cylinder is a bit thirstier at 20 mpg city and 27 mpg highway, but these figures may be a bit conservative: we managed 19.8 mpg over our 180-mile jaunt through Eastern Oregon. This is a very impressive figure for a 3.6-liter engine that was pushed to its limit on frequent occasion. That’s the great thing about this car: Whether you’re on the onramp or the riverbank, its limits are so far ahead of the curve, you can just sit back and enjoy ride.